RUSSIA. Moscow. May 6, 2015. 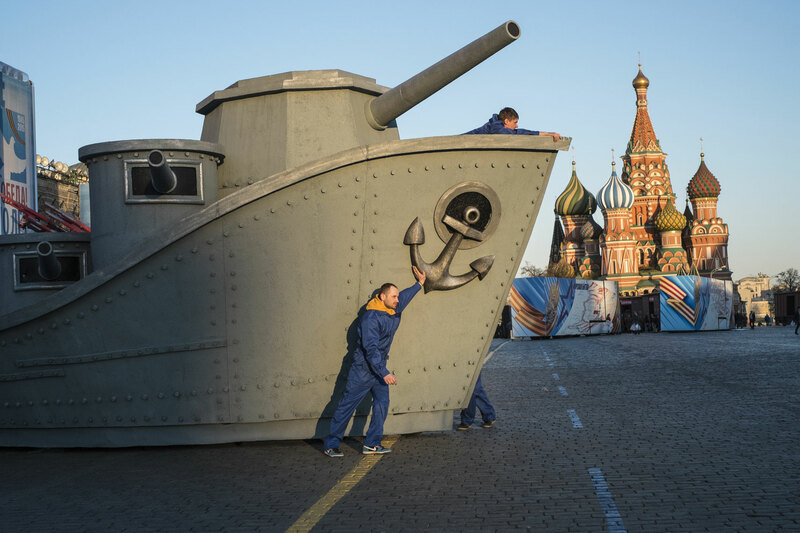 Men are putting away a scenery after a rehearsal of the show that will be perform on the evening of May 9 on the Red Square.